In a study published in the February American Journal of Hematology, Shruti Chaturvedi, M.D., Michael DeBaun, M.D., MPH, and colleagues identified a combination of risk factors that lead to earlier death for patients with sickle cell disease, a genetic disorder characterized by sickle-shaped red blood cells. Sickle cell disease can result in cardiopulmonary (heart and lung) disorders, the leading cause of death in this patient population. 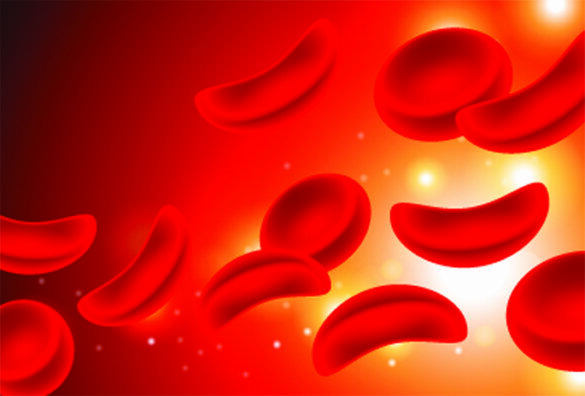 The researchers studied the records of nearly 200 sickle cell patients and found that increased lung blood pressure and decreased lung function are associated with each other and can predict increased mortality more so than either of these factors alone. These factors, formally called tricuspid regurgitant jet velocity (TRJV) and forced expiratory volume in one second (FEV1), are commonly used to evaluate patients with sickle cell disease, but the combination has never before been linked to a synergistic increase in earlier mortality. These findings highlight the need to develop therapies aimed at decreasing TRJV and increasing FEV1 in order to lower mortality. This research was supported by a grant from the Burroughs Wellcome Foundation and by an American Society of Hematology Research Training Award for Fellows.